4 Cool Gifts for Tech Geeks for the Holiday Season – YOU CANT STOP THE SHOW!! Work to achieve product-market fit for gift giving. 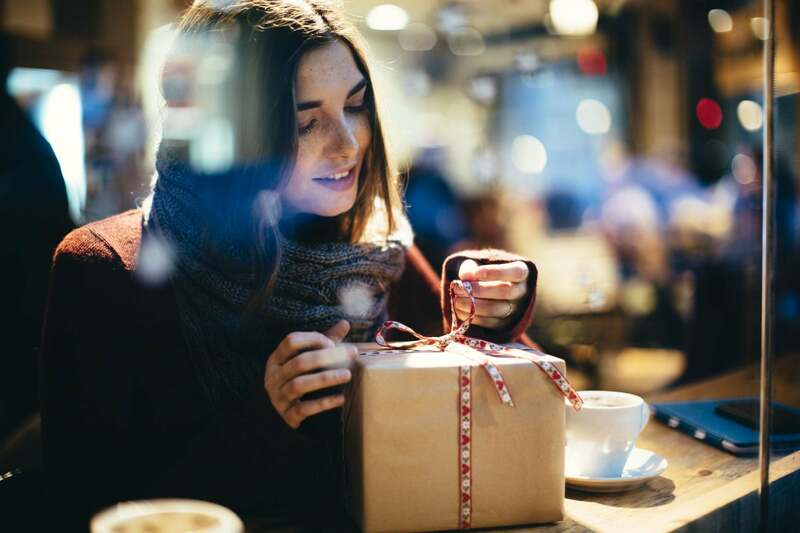 Holiday spending is estimated to hit $1 trillion this year, with PwC estimating that the average consumer will spend $1,250 on gifts, travel and entertainment. Speaking of gifts, it's never too early to think about what presents you'll give your beloved geek friends. Rather than procrastinate and be caught in the last-minute shopping rush, you can get a head start working on that list right now. Besides, Thanksgiving weekend is also just around the corner, meaning you can take advantage of Black Friday and Cyber Monday sales to score the best deals. My team and I always like to find random cool tech products this time of year that I can send to colleagues and business partners. Here are four cool products we found that you can give to your tech geek friends. There was a time when DNA testing was just the stuff of movies and TV. Today, anyone could get tested thanks to home DNA test kits. So how about giving your friends a way to know themselves at a nuclear level with MyHeritage's DNA test? MyHeritage first came into the scene as an online genealogy platform that allowed users to upload family history and family tree data to its database. The company offers its MyHeritage DNA as an advanced and affordable DNA test that reveals a person's ethnic origins including the geographic regions associated with the person’s genes. Combined with the service's database containing more than 6 billion historical records, it's even possible for users to discover previously unknown ancestors and relatives. Of course, privacy is an important concern these days. MyHeritage DNA tests are designed for the recipient’s appreciation of genealogy and only the person has access to the test results. Testing is also done in a CLIA-certified and CAP-accredited laboratory based in the U.S.
MyHeritage DNA retails for $79. I bought this for family members last year, and they loved it. If you have friends who do graphic design, you're probably wondering if they see the world as you do. It isn’t uncommon to hear them drone about how certain designs could be improved upon or how something could've been shades of red lighter (this was taken from a real conversation I had with one of my graphic designer friends who complained about the red shade of my shirt!). If you have that kind of friend, then the Nix Mini Color would make for a great present. It's a nifty device that can scan and match more than 31,000 brand name paints or digital color values. Its results can match to popular paint brands including Benjamin Moore, Sherwin Williams and Behr. It also provides color readouts in RGB, CMYK and CIELAB color spaces, meaning they can use real-world objects as a reference for their own designs. The sensor is ultra-portable, measuring just 1 by 1.5 inches — smaller than a ping-pong ball — and weighs just 0.6 grams. It connects to smartphones via Bluetooth and has apps for both iOS and Android. The package comes with the device, a USB cable and a lanyard. Nix Mini Color Sensor is available for $99. I'll be buying this for my buddy. Battery life has always been a key concern of techies. Who’d have thought that a phone’s battery indicator showing red could cause people so much stress? What's probably more irritating is how manufacturers have built the batteries into devices. You can't simply swap out a weak battery with a fresh one. As such, a power bank is a must-have for any geek-on-the-go. Boasting of a 20,000 mAh capacity means the Anker PowerCore 20000 II power bank packs enough power to charge an iPhone X more than six times (which is pretty impressive). It features Anker's PowerIQ 2.0 technology that provides high-speed charging depending on the device plugged into it. It can even power larger tablets and other power-hungry devices. It has two USB ports allowing you to charge two different devices at once. Despite the large capacity, the power bank is still quite portable with an easy-to-grip sleek design measuring 6.7 by 2.4 by 0.9 inches. Anker PowerCore 20000 II sells for $59.99 for the black version, $65.99 for the white. Because I'm on the go and travel so frequently, this may be my personal gift to myself! Despite advances in technology, impromptu decision-making still can be tough. So why not help your friends simplify their decision-making and let randomness reign with this Geek Speak Magic Ball? It's the modern day iteration of the classic 8-Ball. Like the classic, the Geek Speak Magic Ball returns one of 20 possible answers only with a geek-speak twist. The ball can reply with quips like FAIL, WIN, meh, 404 error, LOL, PWND and O RLY. Great for those friends who work in IT. Sure, it’s a novelty item, but this one can be a nice display piece on a desk or shelf when the novelty wears off. Depending on the seller, the Geek Speak Magic Ball can be bought for $7.99 at Amazon. I'm getting this for all of my different business partners, for those really tough business decisions we have to make. While you can always go the lazy route and just give friends Amazon gift cards, you should try to take the time to give your gift ideas a bit more thought. Surely, there are scores of other items that you can buy as gifts for your friends aside from the ones on this list. For budding entrepreneurs, gift giving can be a good exercise in product development and marketing. It allows you to consider product features, quality and price while trying to take into account how well the gift would appeal to its intended recipient. Ultimately, just do it to build the relationship and invest in your friendship. It's always a nice feeling to be able to gift a friend something that they'd be able to appreciate knowing it matches their personality, likes and wants. Yes, it's the thought that counts, but it's even better when you get product-market fit for the gifts you give. That's the ultimate goal. Happy holiday hunting.